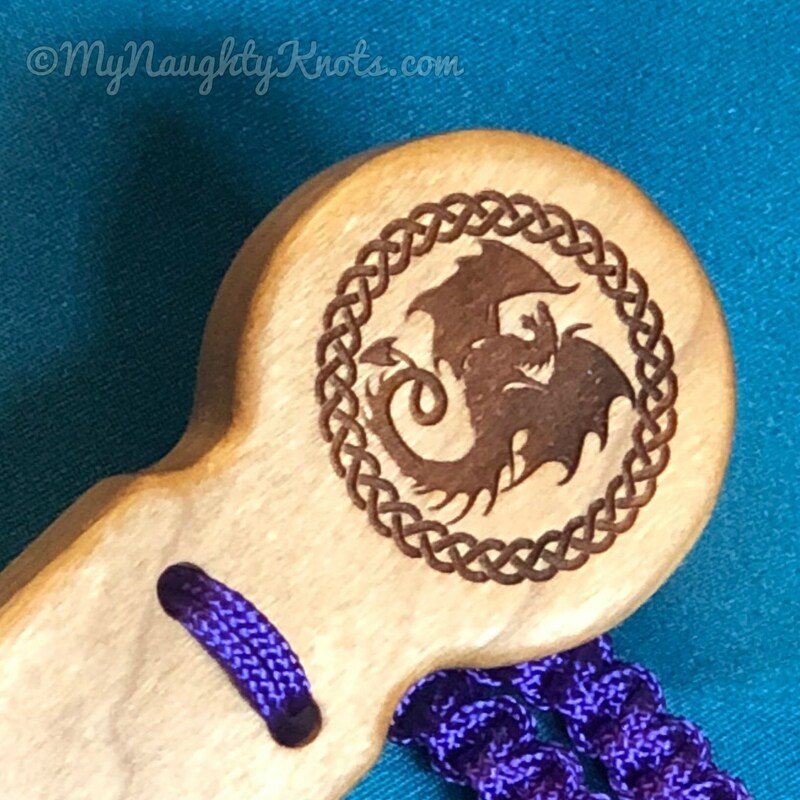 *Beautifully engraved 7" handle (by RedBottomPaddles) with 16" of nylon cord stingers. 72 sealed tips to delight any Dominant and put a smile on a submissives face while stinging the backside. Compact and effective, unique design affords great control. *Easily portable with sturdy knotted wrist strap. Looks nice hanging from a belt. *Makes a great gift for Mistress or Master.